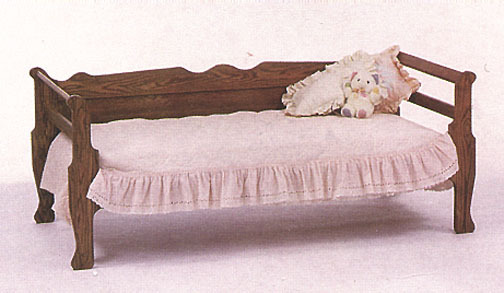 Introducing the Briarwood day bed. Just the perfect size for when you don’t need a lot of bed, need a spot to take a nap, or just have that corner to fill. Also an excellent choice for the sun room or covered porch, and you could even use it as a place to display your doll or teddy bear collection! Shown here in solid oak, but also available in a variety of other woods to meet your needs and decor - the Amish will be happy to build a day bed just for you! Also available in a mission style (not shown) for the same price.